Laparoscopic ultrasound is a safe, effective, sensitive, and specific technique to use for detecting choledocholithiasis during laparoscopic cholecystectomy. It is also useful for ruling out ligation or transection of the common bile duct. When sufficient experience is attained, it is an excellent substitute for digital fluorocholangiography. 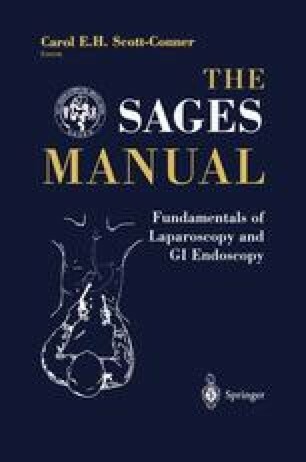 Additional information on other applications of laparoscopic ultrasound is given in Chapter 12, Elective Diagnostic Laparoscopy and Cancer Staging.